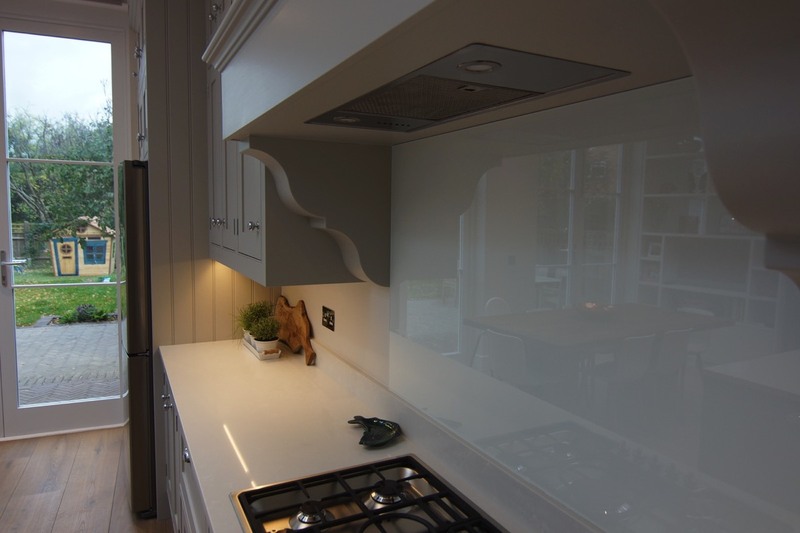 Teddington kitchens design and installed this very impressive cockbeaded in-frame kitchen in a large extended house in Kingston, the centrepiece being a large canopy which was built by us to represent an old section of the chimney breast which has been converted to a canopy, to house the extractor. 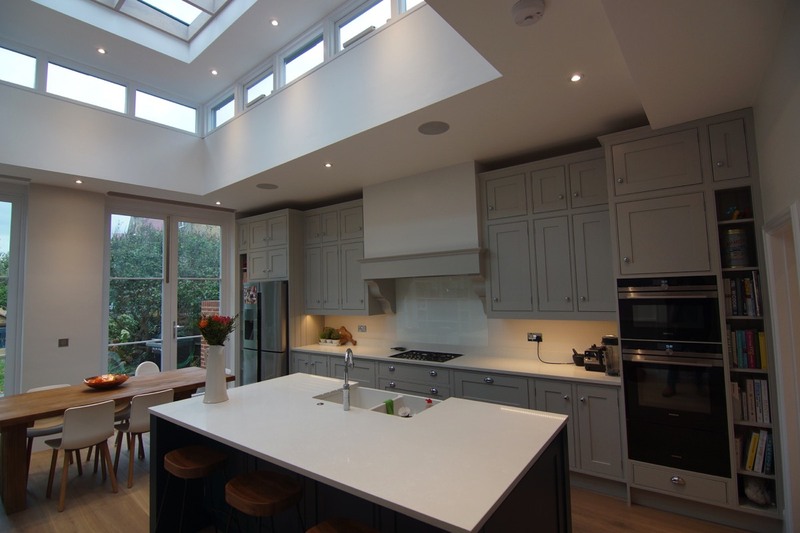 This room has very high ceilings plus a large lantern, so the height of the kitchen was extended with a further run of cabinets. 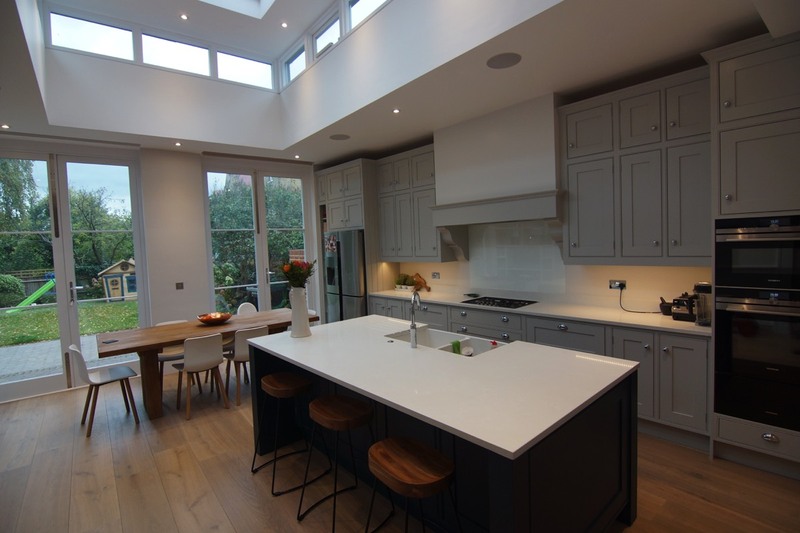 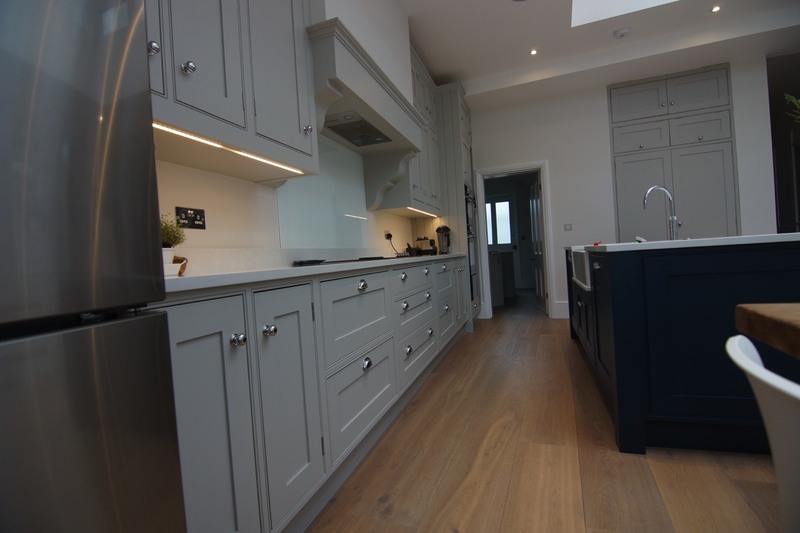 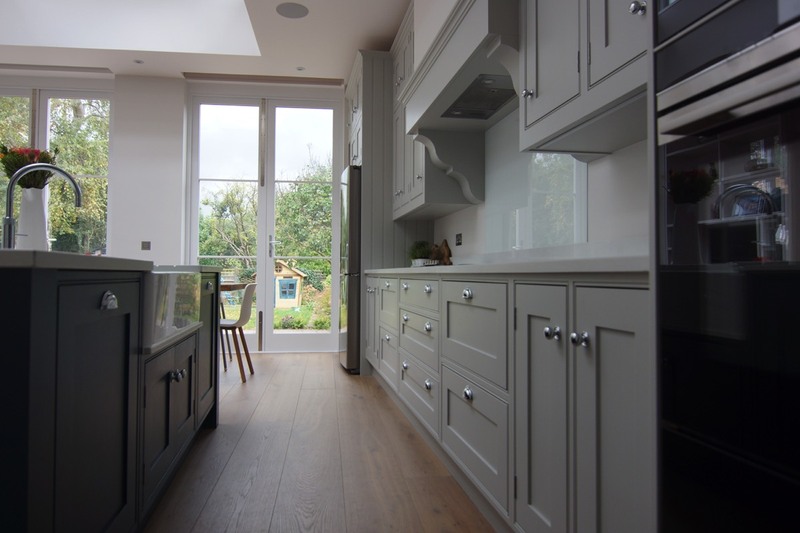 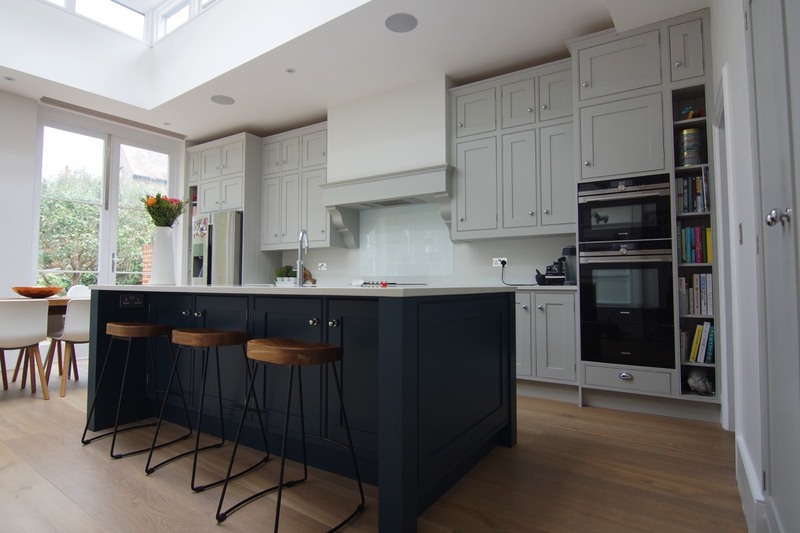 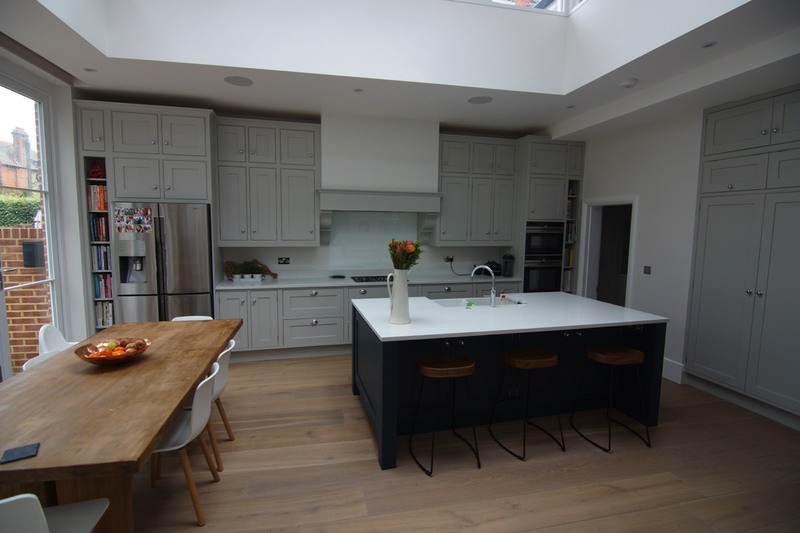 The main kitchen is painted using Farrow & ball pavilion grey, and the island Hague blue. 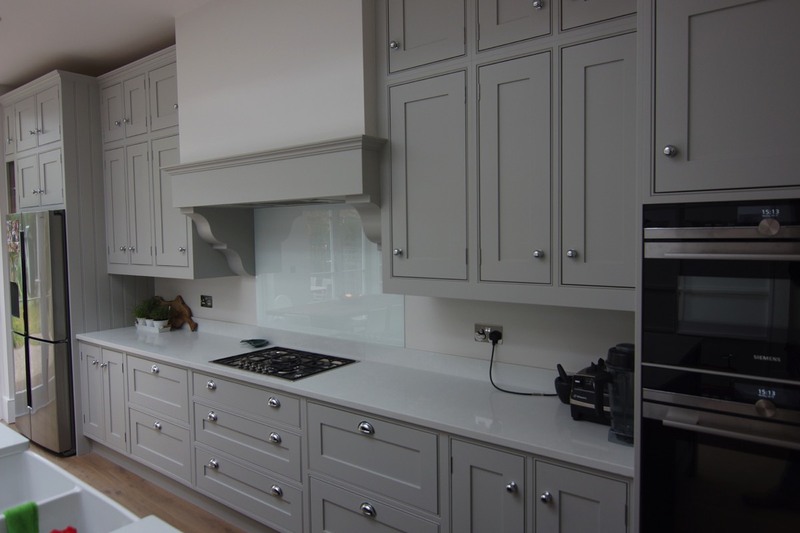 Worktops are a quartz copy of marble. 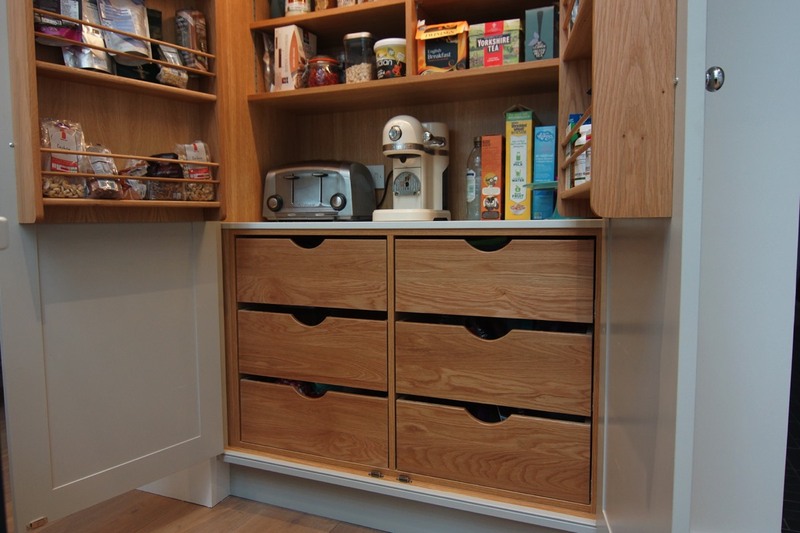 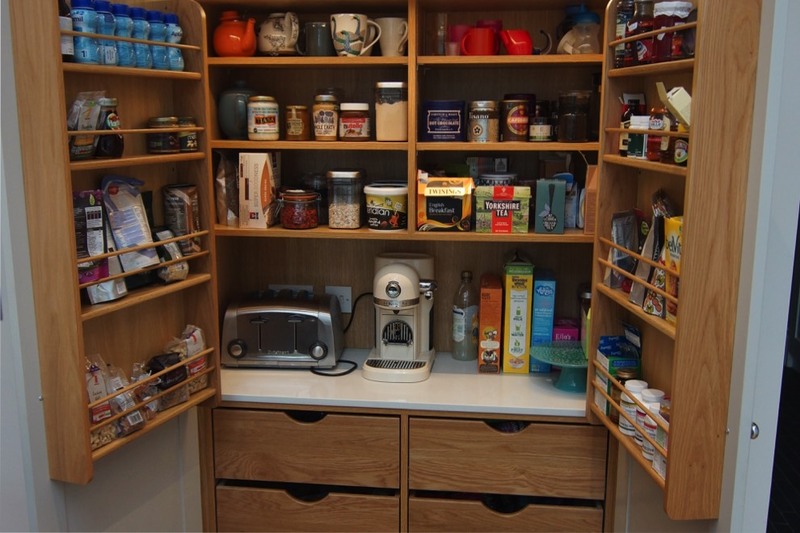 It also has one of our large larders with solid oak drawers under a section of worktop and shallow shelving above with oak bottle/spice racks to each door.